Our friends at Sontronics have been somewhat prolific in recent weeks, launching not 1 or 2, but 3 new products. In their words. The SONORA 2 preamp features Sontronics’ proprietary Class A vintage circuit design and is capable of delivering an exceptional standard of audio reproduction with a classy, silky finish for an outstanding price. For ultimate recording and monitoring flexibility, SONORA 2 has two combined XLR & 1/4” jack inputs plus four individual outputs (two XLR, two TRS jack) as well as a –20dB pad, 75Hz high-pass filter, 180° phase reverse switch and 48V phantom power on each channel. Its lightning-quick dynamic ability combined with a linear frequency response and a powerful 66dB of crystal-clear gain and a huge +23dBu of headroom means SONORA 2 is an ideal choice for any professional studio, home or live environment. The new Sontronics all-in-one mic packs are intended for anyone wanting to start recording straight away. 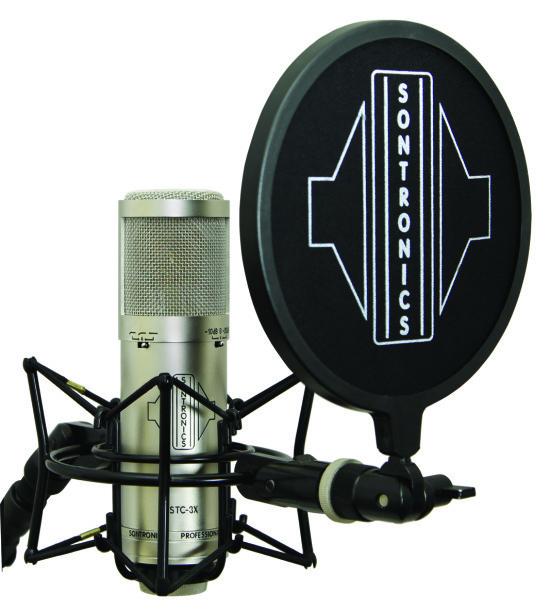 The STC-20 PACK (£209 RRP) includes Sontronics’ best-selling affordable STC-20 large-diaphragm cardioid condenser mic with gold-sputtered one-inch capsule. The STC-3X PACK (£305 RRP) includes Sontronics’ brand new STC-3X condenser mic with three polar patterns – cardioid, omni and figure-of-eight – plus a pad (0, -10, -20dB) and high-pass filter (linear, 75Hz, 150Hz). Available in black or silver, the STC-3X is the ultimate in versatility and flexibility for any studio.